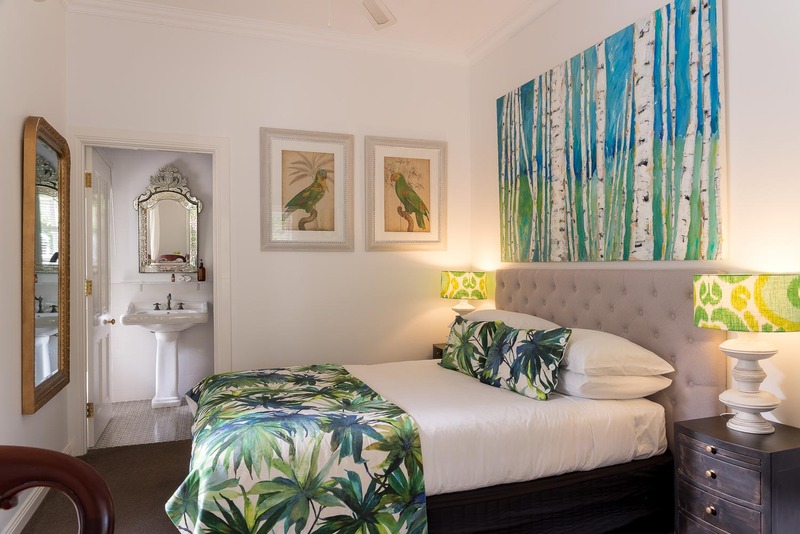 Abelia House is a quiet luxurious and romantic bed and breakfast set on 100acres of rainforest only 5 minutes from Byron Bay cbd. 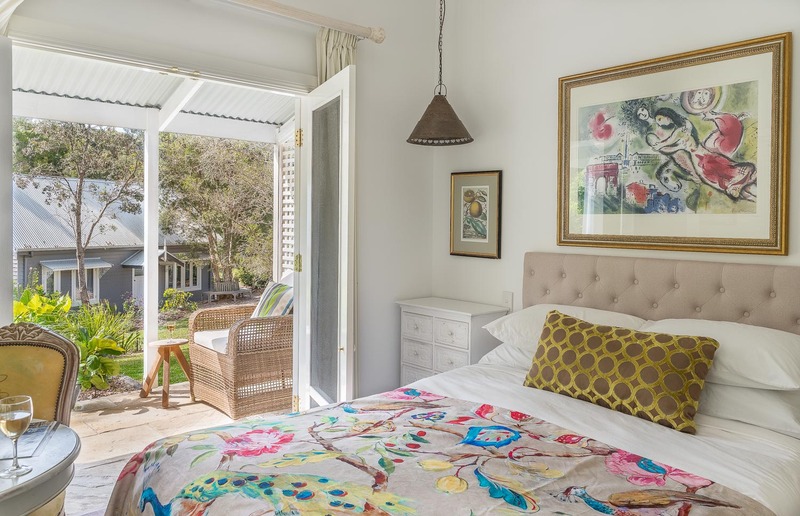 Abelia House is a luxury romantic hideaway situated on the edge of Byron Bay, just 5 minutes drive from the centre of town and 10 minutes from the old heritage town of Bangalow. It is set amid the tranquil beauty of Woodlands Sanctuary on 100 acres of stunning forested bushland. Woodlands is home to a rich variety of flora and fauna, with wallabies, koalas and many rainforest birds. There are several beautiful walks on the property through the forest, or if you feel like relaxing there is a large shady veranda on which sit and enjoy the quiet beauty of the surrounds. 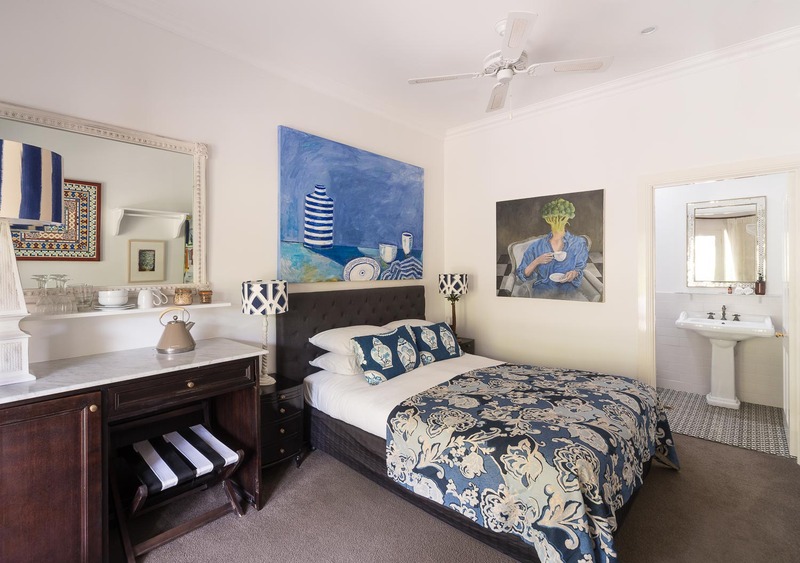 Choose from three gorgeous bedrooms, all with comfortable queen beds and elegant ensuites, french doors opening onto the veranda, air conditioning, free wi-fi, ceiling fans, bar fridge, along with tea and coffee making facilities. As we are a quiet and romantic location we do not accommodate children of any age or any pets, sorry. There are also no tv’s and no smoking in the rooms.